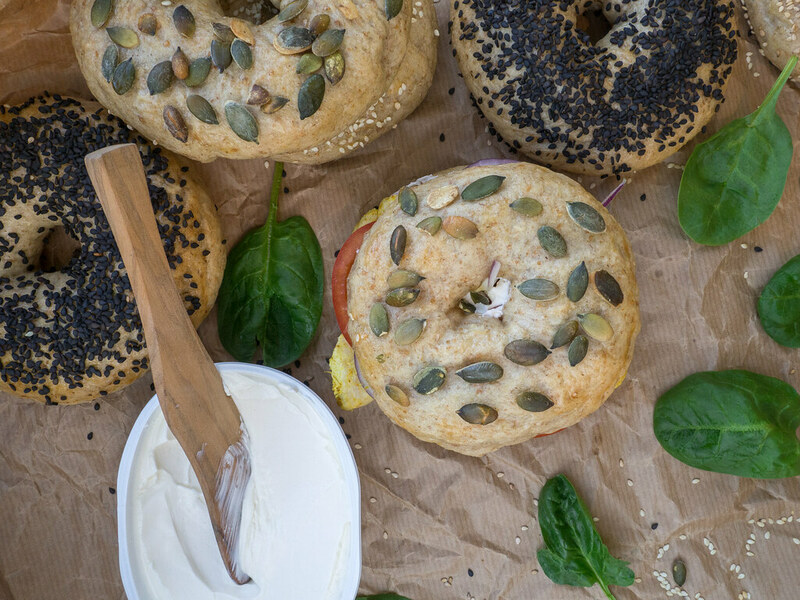 Bagels is just one of my favorite breakfast or lunch meals. 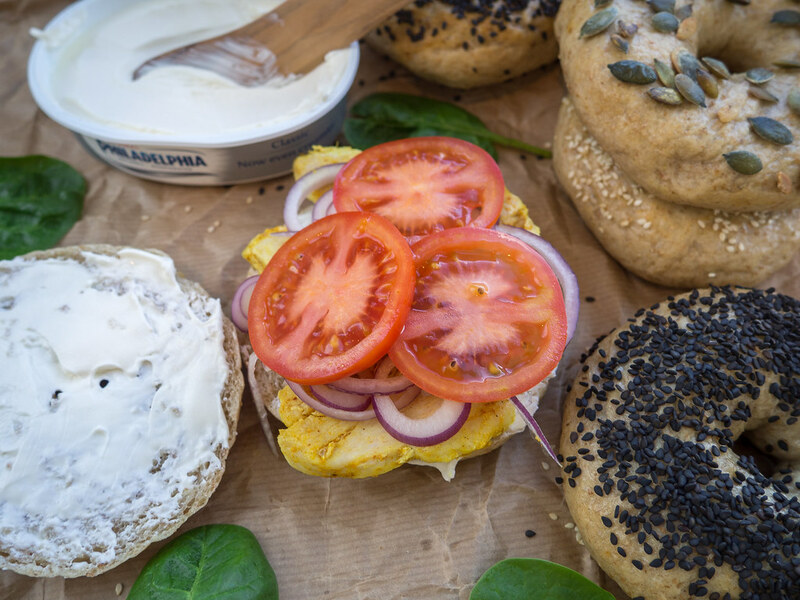 I typically have them when I am traveling abroad – bagels are not that common in Denmark or the other Nordic countries. Even though, they are not that popular in my home country at the moment, I think that I see a trend that they start to become more and more popular. Especially, at the more trendy food places in and around Copenhagen and some of the other larger cities in Denmark. I absolutely understand why more and more people in Denmark starts to like the piece of bread with a hole in the middle. I personally like them a lot, especially, when they are served with cream cheese, sliced Avocado, tomatoes and fried chicken filet – this is just such a great lunch meal. I have had bagels before several places around the world but it was the bagel I had in Paris at a vacation that had me convinced. 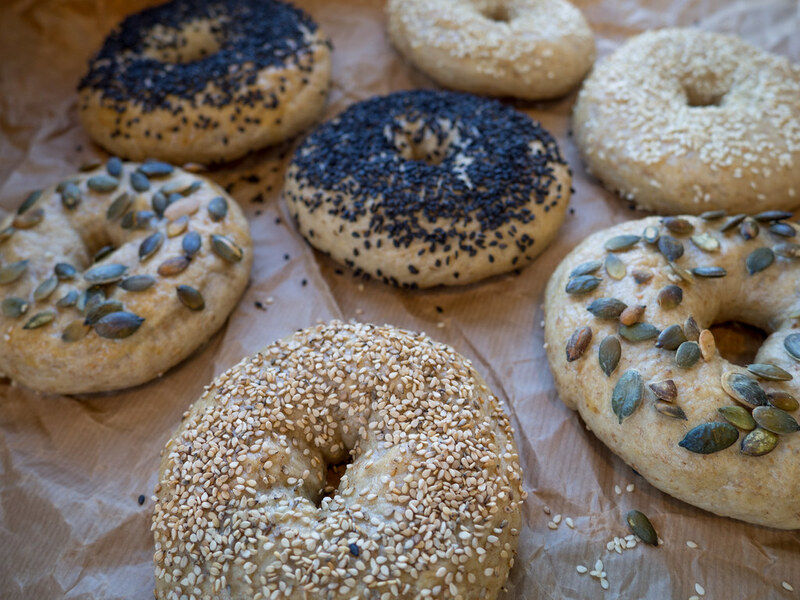 One of the first things I made in my kitchen when I got back from that trip was homemade bagels. The recipe I used is the one I am sharing here on my blog. The special thing about this recipe is that the bagels are cooked in boiling water for three minutes before they are baked in the oven. 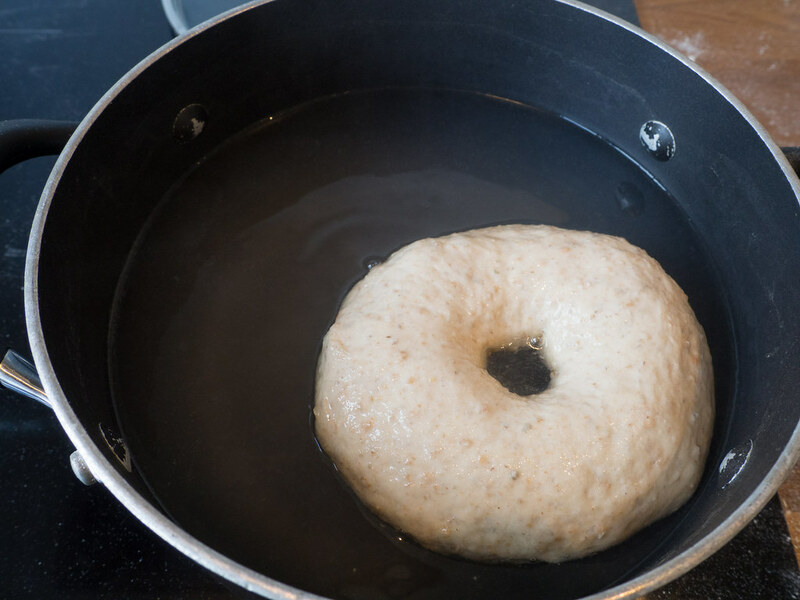 This process of cooking the bagels in water will give them a chewy feeling, which is one of the characteristic things with bagels. This chewy feeling is also the thing I like the most about bagels. 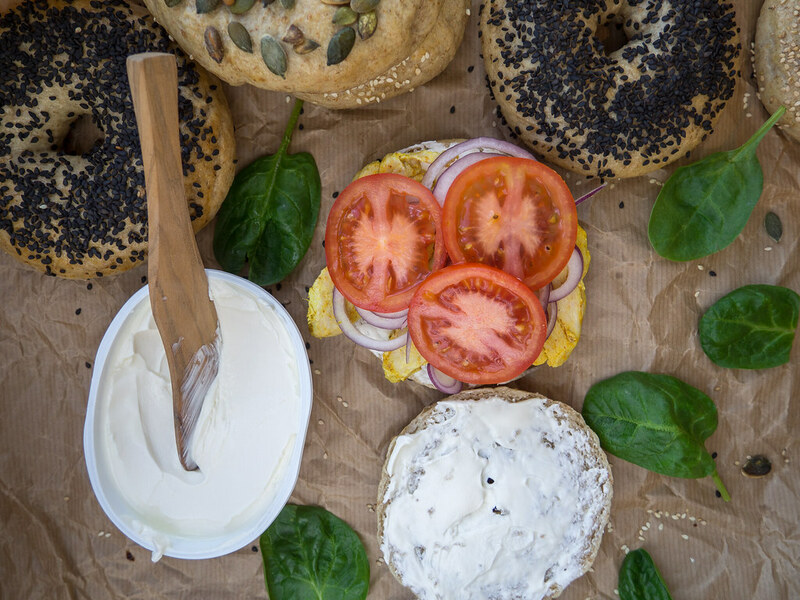 I typically make my homemade bagels with all kinds of different toppings. 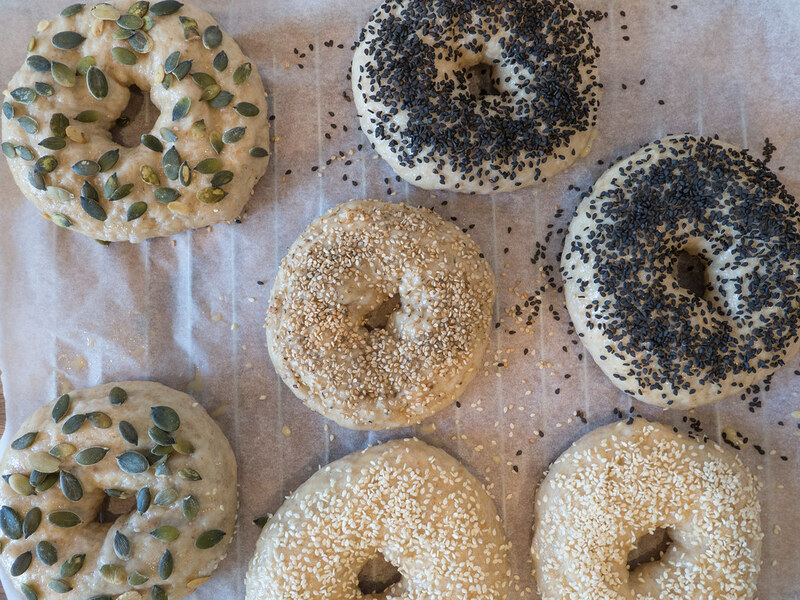 Before baking the bagels in the oven, you simply brush them with a beaten egg and sprinkle them with your favorite topping. My personal favorite is white sesame seeds, fried sesame seeds, oats and cheddar cheese. However, I can also recommend pumpkin seeds, Chia seeds, sunflower seeds and so on. As said above, my favorite way of serving a homemade bagel is when it is lightly toasted, smeared with cream cheese, chicken and topped with delicious avocado and other great vegetables. However, I can also highly recommend slices of smoked salmon or tuna. In general it is only up to yourself and your imagination. 1. 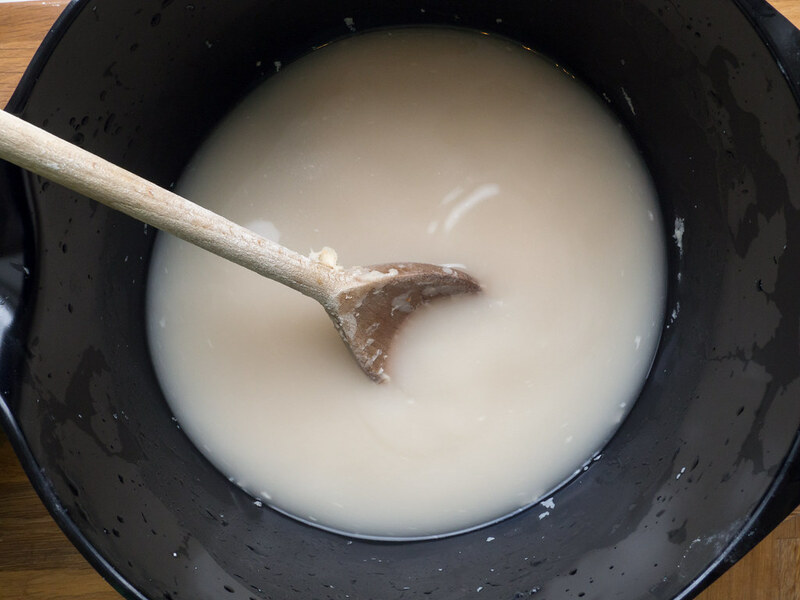 In a large bowl; dissolve the fresh yeast. 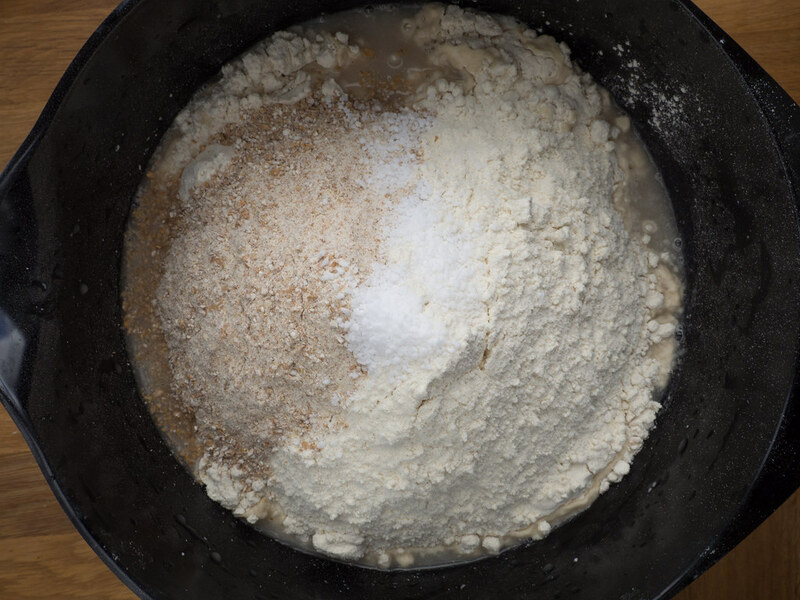 If you are using dry yeast, add it with the flour in the next step. 2. 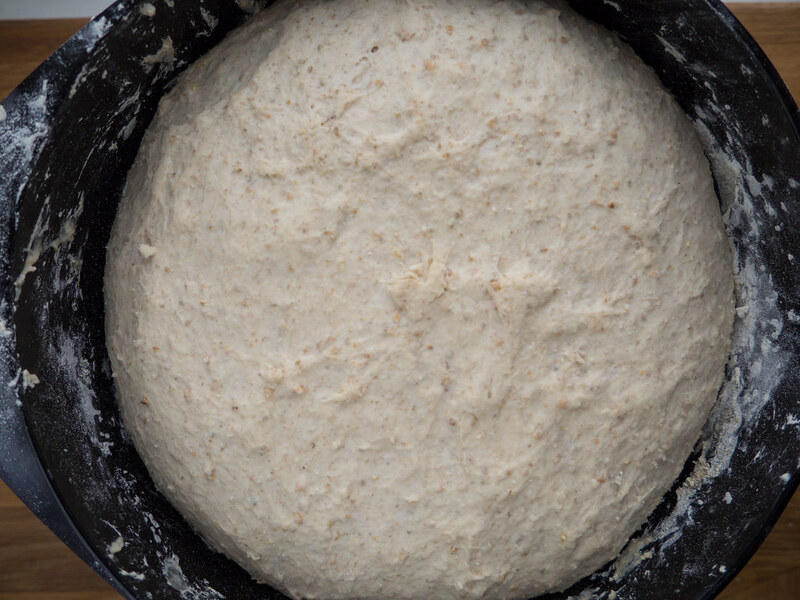 Add the rye flour, whole-wheat flour, sugar and salt. Mix with a spoon. 3. 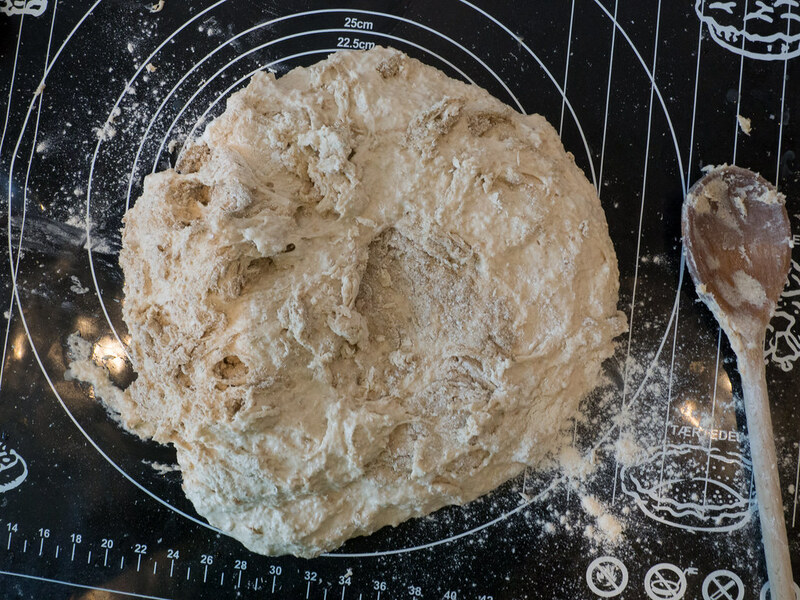 Step wise; add the all-purpose flour. You might need a little more or less depending on the quality of the flour. 4. 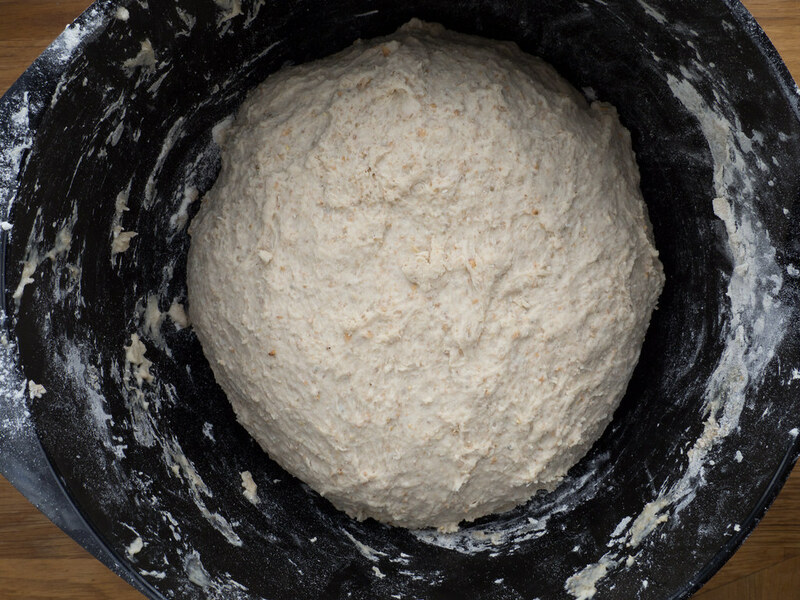 Knead the dough well, about 5-10 minutes. You can use a stand mixer. 5. 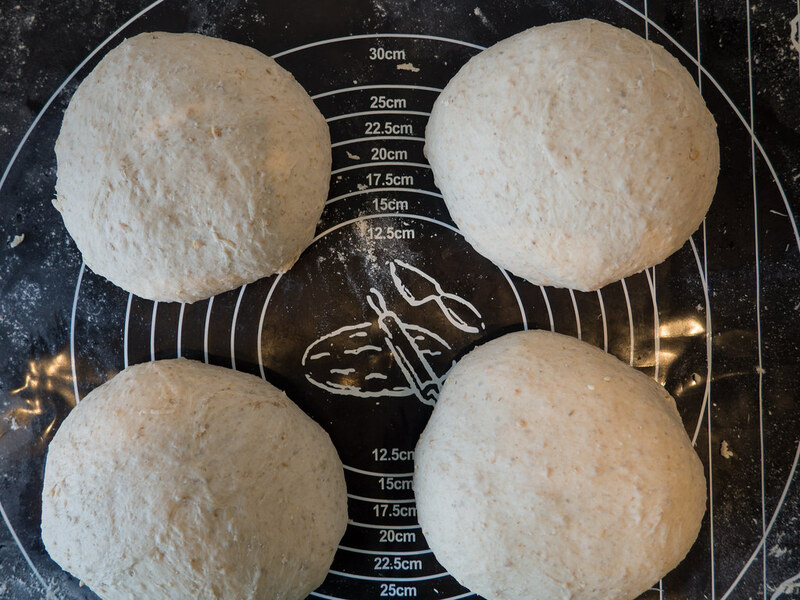 Set the dough aside and let it rise for 30-40 minutes. 6. 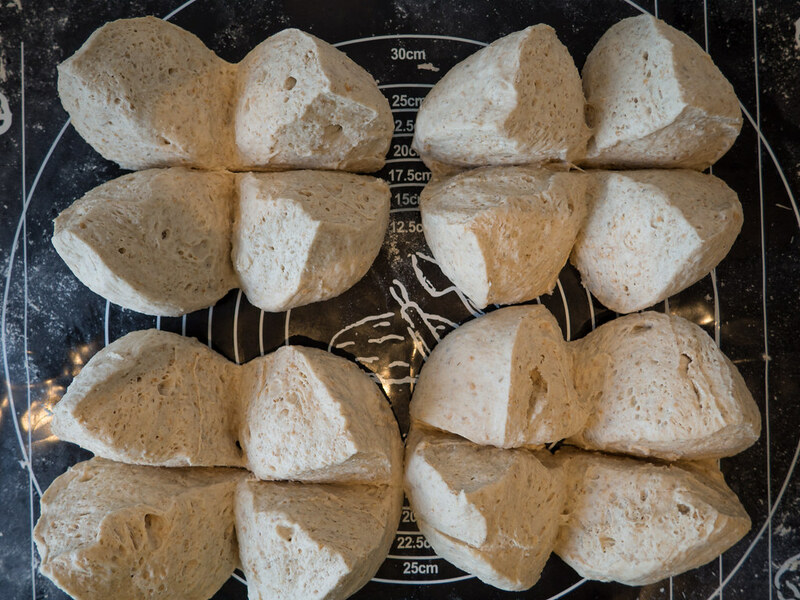 Divide the dough into 16 pieces and shape them like round buns. 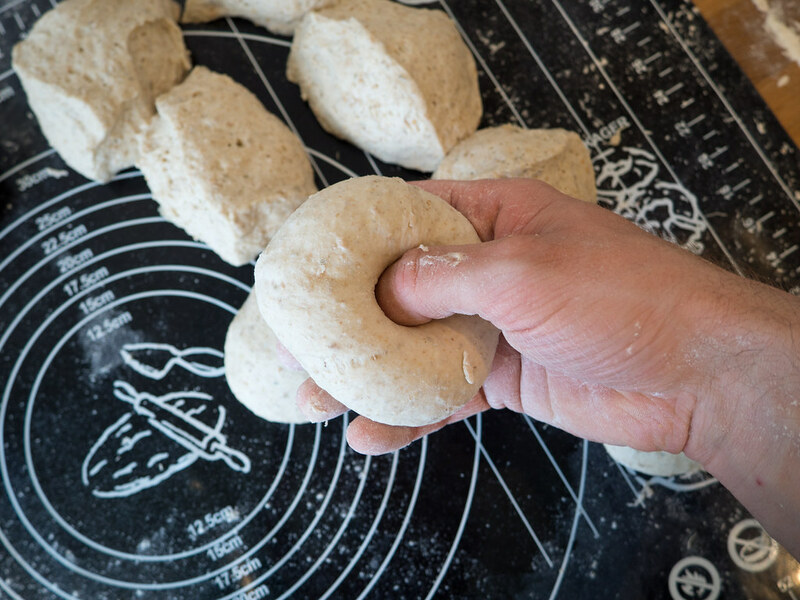 Using one of your fingers to prick a hole in the center of the buns. Expand the hole a little making a circle with a diameter of about 2 cm (3/4 inch). 7. Set the bagels aside and let them rise for another 30-40 minutes. 8. Heat up water in a large pot and dissolve 2 tablespoons of sugar in it. 9. Cook the bagels in the hot water about 3 minutes on each side. After 1 1/2 minutes flip the bagels over to make sure both sides are cooked. 10. 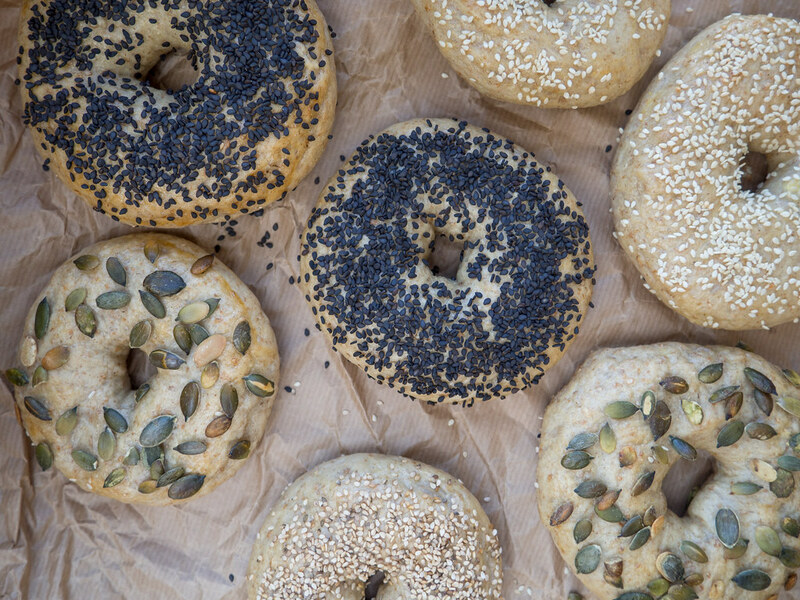 Let the bagels dry a little before brushing them with a beaten egg. 11. 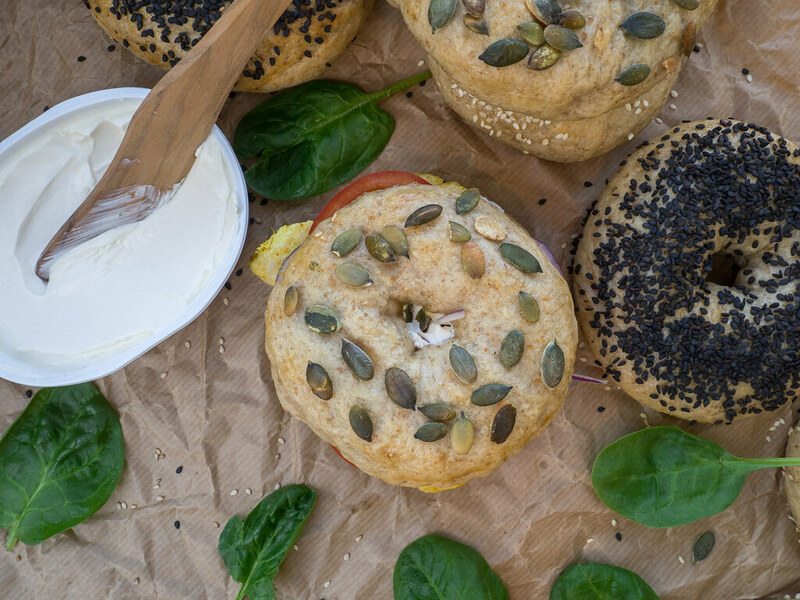 Sprinkle the bagels with sesame seeds, pumpkin seeds or other types of seeds you prefer. 12. 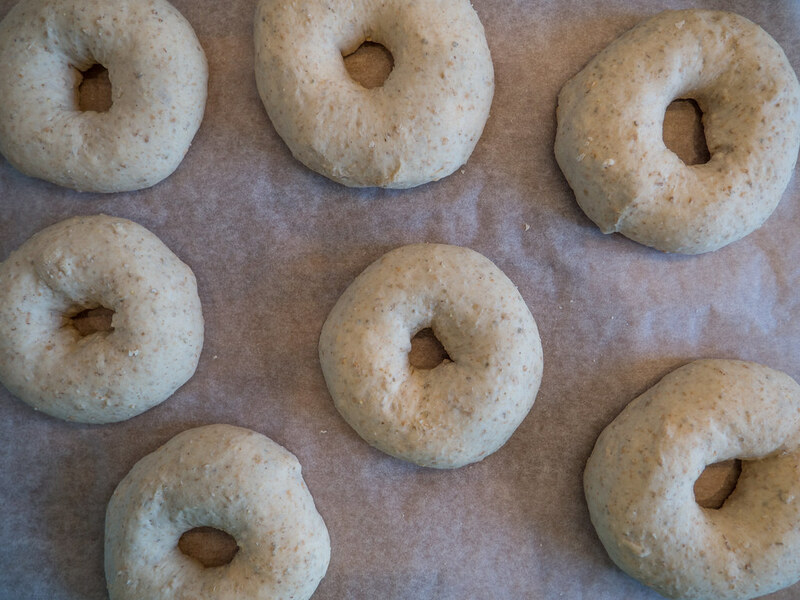 Place the bagels on an oven sheet covered with parchment paper. Bake the bagels at 200 C (400 F) for about 15-18 minutes.